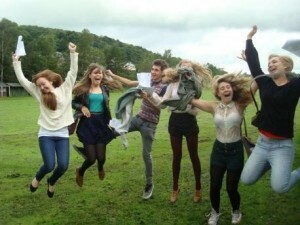 The final term sees the Sixth Form begin to think about life after Settle College. The application preparation begins, for some, right at the beginning of the Lower Sixth. Potential medics, vets and dentists are encouraged to seek out work experience in relevant practices and are given information about relevant taster courses which are offered during Lower Sixth. Students wishing to study other disciplines are also advised to attend relevant taster courses and seek work experience. The voluntary service opportunities offered at Settle College, as well as the opportunities, from AS Citizenship to provide pupils with experience which is much valued by universities and employers. This event allows students to explore a campus university and see the facilities at the site. Over 130 university representatives each have a stand and information about what their university have to offer our students. At the same time various seminars from midwifery to psychology allow students to understand a little more about the subject. Students always come back to the bus armed with bags of prospectuses and goodies! They enjoy the experience which creates a real buzz about the options open to students. We also hold in information evening here at College with a speaker from Lancaster University to talk to parents about the application process, going to university and student finance. As part of our partnership with Lancaster University we visit their campus to experience what it would be like to be a student. We listen to advice from current students and undertake a tour of the library. The most exciting aspect for students is seeing the accommodation on offer and realising that standards are good. Students have commented in the past that “It’s like living in a hotel”! Students can see the different food outlets on campus and experience a lunch break. In the afternoon we visit a lecture theatre to hear advice about personal statements and handy hints about what not to write! We do encourage students to go to as many open days as they can and these are displayed in the 6th form working area. Over the final summer term, applicants are asked to begin to draft a personal statement. This is for the section of the UCAS form where applicants can tell universities about themselves. This is the best chance applicants have to recommend themselves to a particular university or college, unless they are later called for interview. In the autumn term of Upper Sixth, pupils complete their online application form and personal statement. Form Tutors write references using information from subject teachers and extracurricular staff. The reference is attached to the form and the application is sent to UCAS. Mock interviews are available to help pupils to prepare if they are called for interview. In August when the A-level results are published, Head of Sixth Form Mr Whitaker and his team, as well as other members of staff, are in school to congratulate pupils but also to help and advise if necessary. For many pupils, application to the Universities of Oxford or Cambridge is a realistic course of action. Oxbridge candidates have regular meetings with a dedicated member of staff who guides them through the application process. We encourage Oxbridge candidates and all those applying to very competitive university courses to take an active interest in developing their knowledge and passion for their chosen subject area and extension sessions can be provided in all departments.